The course is about 9 km in longest Ayung river. Bali Activity Ayung River Rafting Company provides Elephant Camp and Horse Ride besides the Ayung River’s longest white water rafting. 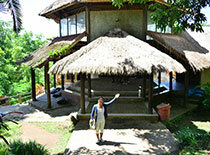 The activities at affordable price include drink and buffet lunch. 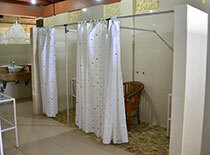 Changing room and shower room are available. 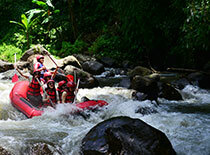 Ayung River Rafting Company is the right place to join an exhilarating and exciting white water rafting adventure. 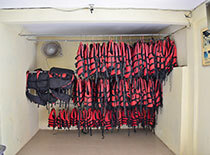 ・After check in, change clothes and wear safety equipment such as life jacket, helmet, etc. ・Divided into groups（4 to 6 people）, rafting guide introduction. ・The participants keep their valuables each until start point. ・Get the oar and go to the river bank. ・Put your goods into the safety bag and the guide will keep it. ・Get on the boat, practice and then starts rafting. ※The rafters can join the adventure by wearing shoes or sandals. Relief on the stone. The participants can take pictures here. Take a break. Other rafting companies take a break near the spectacular waterfall, but Ayung river rafting takes a break before the waterfall. After take a break, continue the adventure passing the waterfall. ・Get towel, clothes and take a shower (locker room). Shampoo and body soup are not available. 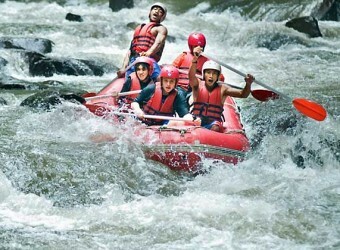 ※Ayung River wild rafting & stretch rafting set course is held in only morning. ※Morning Program is recommended. Afternoon program is held / not held depending on the number of participants on that day. 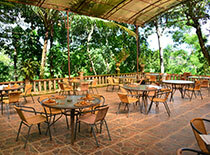 Surrounded by plenty tropical trees It is great to see endless green Facilities are bit old but no problem to use it. There are plenty farting equipment The curse is the longest course among rafting company It will be thrilling experience if there is a lots of water. 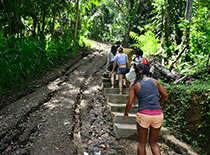 Clime up 200 steps on the way to go Enjoy the buffet lunch with stunning view. 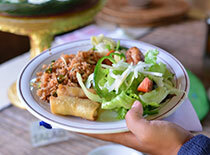 Lunch include salad, drink and main. How long does it take from hotel departure to hotel return? How many people can ride 1 boat? Maximum 7 people include guide. Customer number is 6 people. Is possible to large number of people will rafting all together? There are 35 boat at Ayung river rafting company. It is possible 100 people at same time. What kind of shoes best to wear? Yes. You can take pictures while taking a break and the photographer follows the adventure, taking pictures during the adventure (price Rp.50,000). White water rafting adventure is suitable for people between the ages of 5 and 65. Free pick up service min.2 people. The transport car will around each hotel. The time wil changed by traffic condition and weather. Everyone joined rafting for the first time! The guide rocked the boat as a prank. He was very good in startling everyone. People on the boat shouted ”Woooow”. 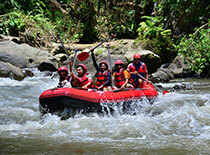 I heard that it is also available for beginners also children, that’s why I booked Ayung River Rafting. River with beautiful scenery. The guide can speak Japanese a little bit, but he sang a song at the middle and water battle using oar with people in the other rafting boat that made this activity more excited. It was a fun rafting from beginning to end.